Under this White Oak in 1772, Col. Jacob Brown signed a treaty with Oconostota and other Cherokee chiefs for tracts of land along the Nolichucky River. Col. Brown was a trader, store owner, smithy, soldier and founder of the Nolichucky settlement that united with Watauga in 1775. The great oak became known simply as the “treaty oak”. The tree reportedly blew down in a storm in 1958. A gavel made from the tree was presented by Esther Pearce, a direct descendent of Col. Brown, to the Tennessee State Society in 1972. 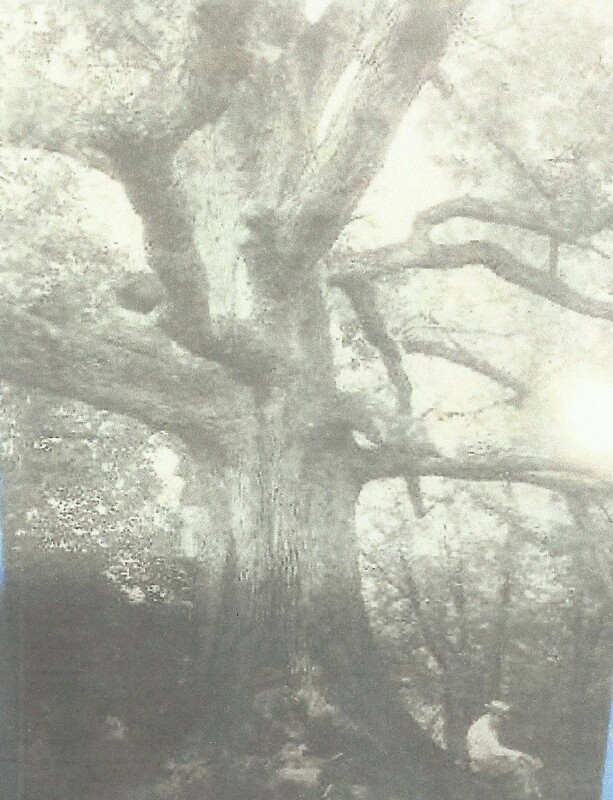 The tree was owned by Jim Hatsell, a relative of Col. Brown, and nominated as a Heritage Tree by C. David Carr of the Kings Mountain Chapter, TN Sons of the American Revolution.